As conservatives we are frequently asked why Georgia needs religious freedom protections. Many believe that passing a bill similar to the federal RFRA laws will cause businesses to flee the state. We need to be able to answer both of those objections. 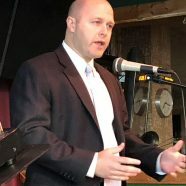 Senator Hunter Hill, candidate for governor, wrote a concise excellent editorial in the Atlanta Journal that will give you the information you need to speak intelligently on the topic. Since many do not have access to the AJC we are running the text of his argument here. As Amazon continues to deliberate on its new HQ2 location, it’s worth reflecting on the disingenuous argument coming from many on the left that a state-level Religious Freedom Restoration Act (RFRA) is bad for business. While making their claim, critics fail to mention that Bill Clinton signed the federal RFRA into law in 1993. They also ignore the success of dozens of other RFRA states – including Florida, Tennessee, and Texas – which have plenty of conferences and sporting events, and enjoy robust economic development. Instead, they assert discrimination will become rampant, job growth will slow to a crawl, and Georgia will fall prey to the same public relations nightmare that befell North Carolina. However, North Carolina’s HB 2 had nothing to do with the Religious Freedom Restoration Act and has not been a focus of legislation in Georgia. In fact, RFRA is the legal standard in over 30 states and critics cannot point to a single case of discriminatory action taken as a result. Supporters of the 1993 federal RFRA include Chuck Schumer, Ted Kennedy, and Georgia’s own Sam Nunn and Paul Coverdell. Protecting the religious liberty of every American used to be a bipartisan cause. So, why do we need a RFRA in Georgia? In 1997, the U.S Supreme Court ruled the federal RFRA did not apply to the states, leading many to copy the federal language to their own books. Furthermore, free exercise of religion has been downgraded in court cases since then, lowering the burden of proof state or local governments must reach to infringe on one’s sincerely-held religious – or nonreligious – beliefs. Currently in Georgia, government must show only a “rational reason” to intervene even if your religious convictions are substantially burdened. A mirror-image of the 1993 federal RFRA, which dozens of other states currently utilize, would ensure governments in Georgia meet a higher legal standard to infringe on your free exercise rights. In our state, this “strict scrutiny” standard currently applies to all rights as defined in the 1st Amendment except religious freedom. It is clear from recent public discussion that the law – a clean RFRA – is not the issue. The left and the media have hijacked this debate in an effort to browbeat the business community and those of faith into submission. The fact remains: a clean RFRA, which I have pledged to sign as governor, will protect all Georgians from the heavy hand of government regardless of faith. Such a bill would also be good for business in our state. Georgia has consistently been ranked the top state in which to do business according to Site Selection Magazine, but eight of the other top 10 states have RFRA policies in place. Our business climate is clouded by uncertainty over what our state will or will not do regarding religious freedom. Passing a RFRA which mirrors the current federal language would provide a stable, predictable environment for businesses looking to locate or stay in Georgia. During three combat tours in Iraq and Afghanistan, I witnessed firsthand what governments can do to people who may not share belief in the prevailing religious doctrine. Our greatness as a country is directly attributable to our defense of the rights of religious or cultural minorities. Amazon, and every company looking to locate or stay here in Georgia, should know we value diversity and inclusion. Passage of a state-level RFRA will protect every Georgian who chooses to express their constitutional, God-given right of free exercise of religion.